Here’s the news for the week…. Surtur Rising, the latest studio album from Swedish death metal tyrants, AMON AMARTH sold approximately 15,000 copies in the United States landing the band the #34 on the Billboard Top 200, #6 on the Billboard Top Independent Albums, #1 on the Billboard Top Hard Music Albums and #10 on the Indy/Small Chain Core Store Chart. The record entered Austria’s Top 40 Chart at #12 and Switzerland’s Top 100 at #20. In Germany, Surtur Rising sold over 14,000 units, entered the Top 100 Chart at #8 and is in the official Media Mark Charts at #14 in its second week. Released on March 29 via Metal Blade Records, Surtur Rising is AMON AMARTH’s eighth studio offering in a winding discography that’s helped shape the very face of epic, Viking-inspired death metal. Named in tribute to Surtur, leader of the fire giants of Muspelheim (“flame land”) and the oldest being in the nine worlds of Norse mythology, the record was recorded, mixed and mastered at Fascination Street Studios Örebro, Sweden with Jens Bogren and bears the striking cover art by Tom Thiel. Swedish black metallers MARDUK recently completed recording three new songs for an upcoming EP. 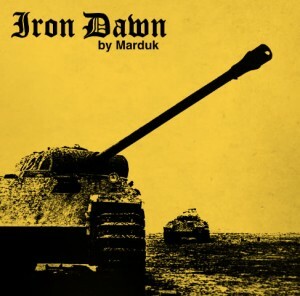 Dubbed Iron Dawn, the EP is set for release via Regain Records on May 27, 2011, at the Maryland Deathfest where the band will make their long-anticipated appearance. The EP will also be available at the six additional North American shows to follow with a worldwide street date of May 30, 2011. A Slipknot album has been found by police in the bedroom of an American teenager who allegedly murdered his grandparents and is likely to be used as evidence alongside a ‘demonic drawing’ they found. Seventeen-year-old Kyle Smith is accused of murdering his grandparents, whom he was living with, with a machete, videotaping the bodies and then burning the house and is currently being held in Oklahoma County Jail. Oklahoma’s NewsOK reports that police collected 50 pieces of evidence 23rd and 24th March, after the bodies were found on the 23rd. According to the inventory filed this week, among them were a “demonic drawing”, handwritten notes, a novelty bullet, four knives, a dagger and a Slipknot CD which featured a pentogram “on the case”. Given that the police have recorded the CD as evidence, it seems inevitable that they will use it in the upcoming court case. It is not yet clear how police will use the album – and association with the band – to argue their case. According to The Music.com.au, Warner are still looking for a buyer, and that buyer might just be LiveNation. But given the way this is all rolling out, nobody can really pick an outcome: how much Warner are looking to sell, etc etc. These guys also report that the music industry is starting to ask licensing questions of Amazon – meaning that these guys might suddenly find themselves in a bit of a fracas… Check it all out here. 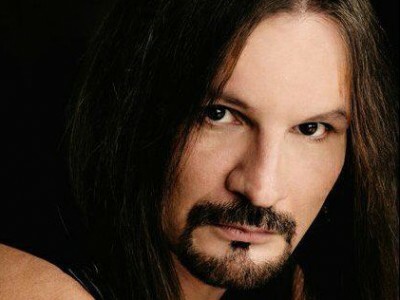 Death Metal legends NOKTURNEL are happy to announce the launch of www.nokturnel.com. The Official web site plays host to the bands news, tour dates, music, merchandise, photos, and links. To coincide with the launch, Nokturnel has made a brand new single, “Ancestral Calling” available for streaming, and FREE download. The song is hosted by ReverbNation, and is available in the music player. Ancestral Calling was written by Tom Stevens, who also performed Vocals, Guitar, and Bass duties on the track. During this recording there were obstacles in the way of Stevens who pounded on through technical issues with studio gear and scheduling conflicts. Nokturnel’s drummer Duane Timlin had other obligations to fulfill, and the fact is, Stevens is not going to slow down for anything, so he called on Chad Walls who enthusiastically agreed to work with him once again. Stevens and Walls worked together in 2009 on the Demonic Supremacy single. Ancestral Calling is the first of a slew of new Nokturnel songs Tom is preparing to unleash. Nokturnel’s line up of Tom Stevens, Bill Reuter, and Duane Timlin are preparing for Maryland Deathfest, and selecting songs off both full length records. Stevens is still in writing mode, and hard at work on more new material. Nokturnel is fully independent, and looking for a solid label and booking agency to back them. Nokturnel thanks all the die hards for your eternal support! Swedish metal heavyweight, ARCH ENEMY, has posted a short video documentary chronicling the band’s recent Khaos Legions showcase at the AJZ Bahndamm in Wermelskirchen, Germany. The intimate performance took place on March 14th in front of 150 select fans and media to kick off the Khaos Legions campaign. The documentary includes some unheard snippets of the new song, “Yesterday Is Dead And Gone”, which is now available as a free download here. will be made available to the public on Friday, April 1st as a free download. 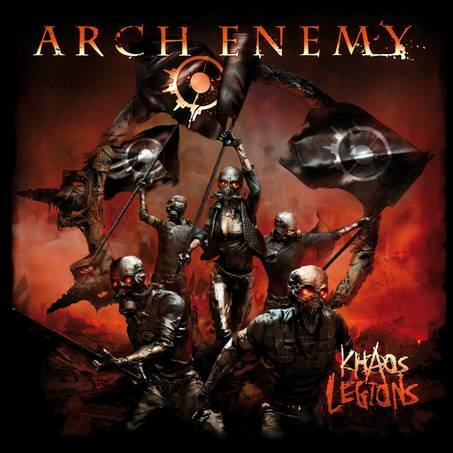 Khaos Legions, Arch Enemy’s ninth studio album, is slated to hit stores later this summer on Century Media Records. It will mark a return to new, original material, after releasing the Tyrants Of The Rising Sun – Live In Japan live DVD/CD (2008) and the re-recordings album, The Root Of All Evil (2009). Arch Enemy is currently gearing up for several live dates to unleash Khaos Legions upon the masses.